Delighted to be with you once again and to have this opportunity of discussing with you some of the human rights issues that affect the Gypsy Roma and Traveller (GRT) communities; what developments there have been over the last 12 months, and what are the prospects for change, either for better or for worse, over the coming year. 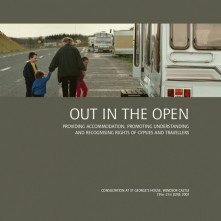 Ever since I first became involved in the needs of Travellers more than 40 years ago, the shortage of sites where Travellers could stop lawfully has been at the same time their main preoccupation, and the principal reason why they experience greater disadvantage than any other ethnic minority in accessing all other public services and health and education in particular. For the time being, the effects of the legislation of five years ago have yet to be visible on the ground. The assessments of need have been completed, draft strategies have been published, and some of them have been consulted upon, leading finally to detailed lists of the number of additional pitches that are to be provided in each District by 2011, for which the local authorities are supposed to allocate the land in a development plan document. The two regions that have got this far already are the East and the South West – and in retrospect it was unfortunate that in the legislation there was no schedule of dates by which the various stages had to be completed, with the result that some regions are far ahead of others. But even in the regions where they have got as far as the allocation of pitches to Districts, being realistic there isn’t a chance of getting the numbers that are wanted by 2011. The Government’s first annual Progress Report on Gypsy and Traveller Policy in July found that the proportion of caravans on unauthorised pitches decreased from 22% in January 2007 to 20% in January 2009, so at that rate of progress it would still be 18% in 2011. There’s another caveat even with the small reduction of caravans on unauthorised sites in the bare figures. The Progress Report shows that half the planning appeals that were granted in the year to end March 2009 were granted only for a temporary period, storing up the demand for permanent accommodation rather than satisfying it. In the East Region, where more Travellers live than any other by a long chalk, the minimum additional requirement for the period 2006-11 was 1,200 and the maximum 3,000, but the experience at grassroots level shows there is no hope of getting even to the lower figure. The year 2007/08 yielded 97 permanent residential pitches and 8 transit pitches, so at this rate it would take at least ten years to get to the minimum for 2011. The report comments that ‘without a significant uplift in provision the region will not meet Plan targets. and if other Regions had got this far in their monitoring it would be the same story throughout England. It was really unfortunate that the East Region only took up £1.3 million of the £9 million grant that was available to them from central Government for site refurbishment, that could have funded quite a few extra pitches. The grants actually awarded between 2006 and 2008 were spent mainly on refurbishment of existing sites, but they paid for 165 new pitches, and brought another 23 pitches back into use. Looking ahead, in just over half a year from now, there will almost certainly be a Tory Government, and there are already noises indicating an even harsher environment for Travellers. Jacqui Lait MP, speaking from the front bench in a debate on Gypsy encampments in Wiltshire initiated by another Tory James Gray MP last June, repeated that they would review the Human Rights Act to ensure that it couldn’t be invoked by Travellers in planning cases, though it is impossible to see how any Government could modify the interpretation of the Convention, on which the Act is based. She questioned the very process by which the local authority targets had been reached although it was endlessly debated when the Bill was going through Parliament, and the drafts were subject to painstaking consultation in the regions. She reaffirmed that trespass would be made a criminal offence, and she indicated that with the abolition of regional spatial strategies, local authorities would have absolute discretion over sites within their boundaries. These policies certainly appeal to the Tories who speak on Travellers such as Eric Pickles and John Baron, though I am not sure about Caroline Spelman, now Tory lead on CLG. She has kept her cards pretty close to her chest, but has said she intends to produce a ‘green paper’ before Christmas. That implies consultation by the Party leadership with their rank and file, which might produce some unpalatable results. And of course, even if it takes a Tory Government a little while to change direction, when local authorities realise that there are likely to be no penalties for doing nothing to achieve the regional targets, the attempt to find suitable land is going to slow down or stop altogether. I see now that the Tories have also begun to think about their first education Bill, and what a Tory source described to The Guardian as an ‘appallingly long list of things to drop in the bin’ as regards schools. In the search for cuts, it would be a total disaster if they had the Traveller Education Service in their sights. The Equality and Human Rights Commission review of inequalities experienced by the communities says again that Gypsy and Traveller children’s achievement remains sharply below that of all other groups and this inequality is increasing. They give detailed examples illustrating the severity of the disadvantage suffered by Irish Traveller and Gypsy/Roma children, which may be compounded by the propensity to go for EHE. The arrangements for EHE are poorly monitored and supported, but to put this right will require more, not less resources. More effort is also needed evidently on tackling the reasons given by parents for choosing EHE: fear of cultural erosion, lack of relevance of the secondary curriculum, and fear of racial bullying. Some secondary schools have been relatively successful in countering these factors, and some of the 17 recommendations for tackling educational inequality would clearly encourage Traveller to keep their children past the transition from primary that is all too often the end of school. The development of positive home-school partnerships, and the appointment of a race equality champion, for instance are likely to have positive effects anyway, but would reduce the distrust of secondary education by GRT parents. But as you would expect, nearly all of the recommendation are likely to demand extra resources. At a time when every Party is talking about cuts, its going to be a hard struggle to persuade any Government to stump up the money that it would cost to make a real impact on GRT educational inequality. A hopeful sign, as I’m sure you know, is the decision by the DCSF Minister Vernon Coaker, following the meeting I had with officials at the DCSF in July, and with the Minister on August 26, to establish a DCSF Traveller Forum. The first members have already been invited, and the initial meeting is at the end of October. This Forum can I hope review the EHRC’s education recommendations and say what priority they would attach to them – and I would also hope that ACERT decide to make comments on that chapter and indeed on the review as a whole. This review was the second major piece of work the EHRC have published this year. In the previous one, from March, they set themselves as well as others some objectives. They are integrating their Gypsy and Traveller work into their local government programme; engaging political parties in a dialogue about good relations with the GRT communities; working with the media to improve their reporting of GRT stories, and documenting and reporting local authority good practice. Maybe ACERT can get into conversation with them so they get to know what members are doing in the schools, and if you have examples of best practice you can share with them, it would be great. There is an obvious connection between education and health disadvantage in Gypsy/Traveller communities. Their lack of education can make them distrustful of all professionals, and therefore reluctant to access health services, even if they can overcome barriers such as the lack of a permanent address which is often demanded for registration. The EHRC review points to studies that indicate the effectiveness of peer educators in facilitating access and they single out the Sussex Traveller Women’s Health Project as a particularly impressive example. The inadequate evidence we have is that Traveller women’s health in particular is a great deal worse than for the population generally, with poor take-up of preventive services and high rates of maternal death in pregnancy and after childbirth. It would be really useful if the EHRC is going to document the experience of successful local authorities like Sussex and Derbyshire to promote similar initiatives elsewhere. The few health studies that have something to say about the comparative health of settled Travellers and those moving from one unauthorised site to another indicate, as you would expect, that the latter are more likely to incur serious illness and early death. If we really wanted to reduce the inequality and disadvantage suffered by the Traveller community, the best way forward would be to halt evictions from land owned by the Travellers themselves, as long as the local authority is unable to offer the residents an alternative. It must be far more difficult to assert the rights owing to all citizens, if you don’t know where you’re going to be tomorrow. The Children’s Commissioner Sir Al Aynsley-Green has intervened in the case of one extended family of 60 Travellers including ten children and one mentally disabled young person of 20 who were going to be evicted from their own land at the end of August following a court order confirmed by the court of appeal, but it seems likely the bailiffs will go in and kick them all onto the street next week. Surely this makes no sense, when apart from the immediate expense of the bailiffs, there are long term effects on the ability of the whole family to make any useful contribution to society. We recognise that people have the right to live in caravans if that is part of their culture, but we have made it impossible for one in five Travellers to do that, by failing to provide the necessary amount of land for them under our planning system in the past. Having now made changes in the law intended to remedy the shortage, requiring less than one square mile in bits spread across the whole of England, we should stop making Travellers homeless as long as local authorities drag their feet. I look forward to the day when there are more than enough members of the GRT communities to argue their own case with local authorities and central Government. I’m proud that the DCSF Forum is going to be doing that very soon, and I salute the contribution ACERT members are making to the improvement of Travellers’ capacity to look after themselves in dealing with authority. In our complex society, those who get no further than primary education are seriously handicapped not only in their choice of occupation, but in their ability to make themselves heard and assert their own human rights. The Gypsy/Traveller communities have produced some powerful advocates, but nothing like enough yet to make a real difference. You are helping to put that right. This year’s AGM took place in late September, again in The Community Rooms in Millman Street, London. A well attended meeting heard Lord Avebury give the keynote speech. David Sheard of Cumbria County Council speaking about this year’s Appleby on the Hoof and a viewing of the DVD “Road to Success” were other highlights. Eric Avebury delivered his speech at the AGM. You can read his thoughts in full by following the link below. He gave a view on the shortage of sites in the UK and reported on the Government’s first annual progress report on Gypsy and Traveller policy. With a possible change of Government in 2010 Eric gave a view on the possible impact on GRT communities and Traveller Education Services. Finally, he looks forward to the decision to establish a DCSF Traveller Forum. The DVD “Education on the Hoof” made at this year’s Appleby Fair was shown at the AGM. We have been granted permission to show the clip on our site. This film was made by Simon Evans. The PowerPoint Presentation of Education on the Hoof can be downloaded and viewed offline below. 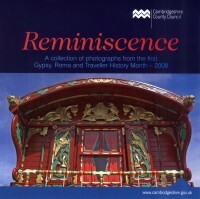 Kate D’Arcy gave everyone present at the AGM copies of the new publication “Reminiscence” produced by CREDs. 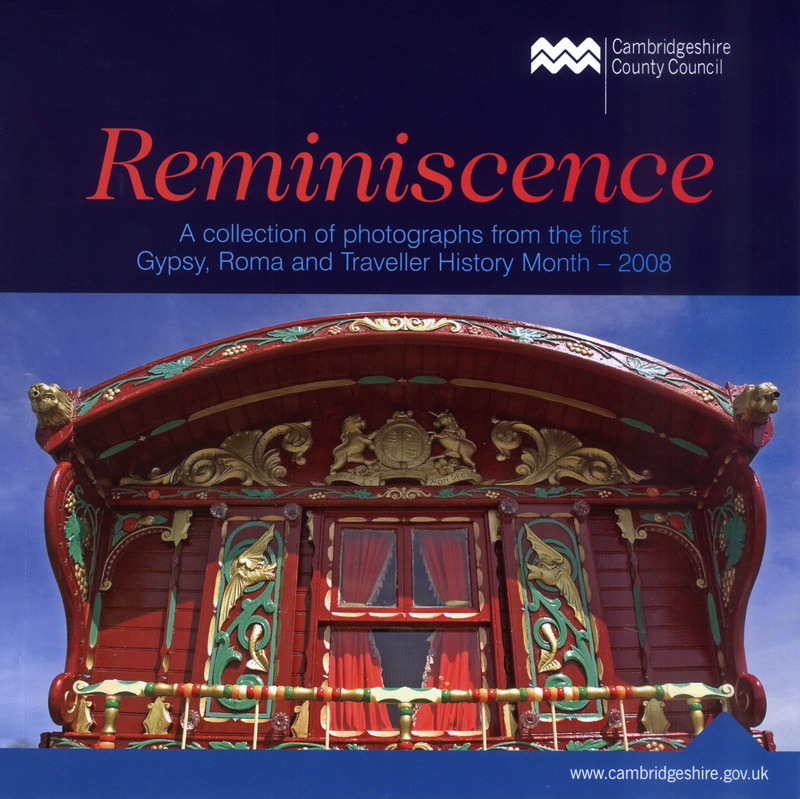 Further copies of Reminiscence are available for just £1.50. This year has been a productive one in many ways. There have been regular meetings with the DCSF where Gypsy, Roma and Traveller issues are discussed and we are beginning to see ways forward to building on the area of community involvement. The Appleby Fair On the Hoof project was very successful and this was aided by Cumbria’s Community Service involvement that supported the event. The provision of adequate and appropriate sites for Gypsies and Travellers lies at the heart of resolving inequalities of access to health, education and employment. It helps to avoid tensions with local communities and is key to tackling racism and discrimination. This consultation identifies ways in which more sites can be provided, better relationships with the settled community established and the rights of Gypsies and Travellers be better recognised.